Reduces or eliminates treatments using insecticide, the main cause of residues on fruit. Better selectivity than insecticides, thus preserving fauna beneficial to crops. 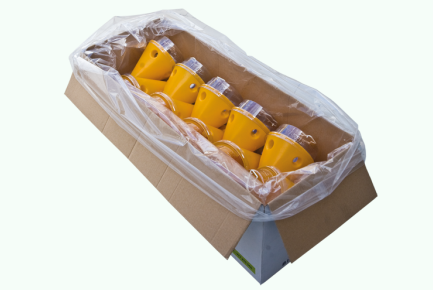 Reduces placement costs (removing from box and hanging). No handling of attractant and insecticide required. Very efficient for areas of continuous cultivation. 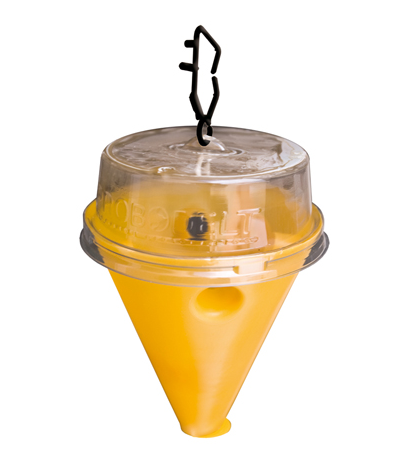 Probodelt also provides a service for mass trapping with Ceratitis Conetrap pack: placement of the traps on site at the appropriate time and place, and in the most suitable density. Mass trapping in citric, apple or pear crops… 40-50 traps/ha..
Mass trapping in stone fruit crops… 70-80 traps/ha. Place the traps 45 days before fruit matures. Hang on tree at a medium height on the southeast side of the fruit tree avoiding direct exposure to sunlight. Monitor the flight of the flies at some traps to reinforce critical points, or whether it is necessary to perform other additional treatment. 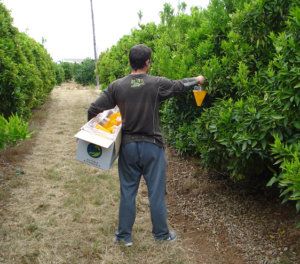 Keep the traps on site until the fruit is harvested and any remains of the fruit have been eliminated. In the case of any queries, contact the technicians at PROBODELT.